A 120-bed for-profit facility in Baltimore near Catonsville, Westgate Hills Rehabilitation & Healthcare Center offers post-surgical care; physical, occupational, and speech therapy; and long-term care. Before 2015, this nursing home was called Rock Glen Nursing and Rehabilitation Center. Westgate Hills is a part of Marquis Health Services. Marquis is a subsidiary of Tryko Partners which owns Loch Raven Village Apartments in Baltimore and a complex in Salisbury. This appears to be the only nursing home Marquis owns in Maryland. Marquis Health Services aims to provide the highest quality life for its residents. In Baltimore, it has not managed to pull this off. Westgate Hills does excel a bit in some respects. But mostly it is average. But Marquis bought this facility in February 2015 so maybe they will turn it around. The jury is still out. Why the hope? One positive sign is that Westgate Hills completed in late 2016 a $1.5 million renovation. The new facility has treadmills, parallel bars, stairs, space for floor exercises and hydraulic equipment for physical therapy. If the new owner is committing real money to the facility, you can hope that it comes with a new commitment to quality. Before we get into the nuts and bolts of Westgate's performance, let's look at the competition. FutureCare Irvington: Physically the closest competitor to Westgate Hills (about a third of a mile away), this FutureCare facility got Medicare scores almost the flip-opposite of Westgate's: three 4-star ratings and one 3-star, versus Westgate's three 3-star ratings and one 4-star. Advantage: FutureCare Irvington. Little Sisters of the Poor: This is one of those rare facilities with Medicare scores so high that it beats nearly everyone: three 5-star ratings, including its overall score. But Westgate Hills did match this Baltimore facility with four stars on quality measures. Charlestown Community Inc.: Charlestown Community got Medicare scores almost as high as those of Little Sisters of the Poor - which is to say, high. This Catonsville facility beat Westgate Hills in all four main Medicare rating categories, including quality measures. Ridgeway Manor Nursing & Rehabilitation Center: Also located in Catonsville, Ridgeway Manor edged Westgate Hills in two Medicare categories, and Westgate Hills edged it in two others. These two facilities are close to comparable, but Ridgeway Manor got the better overall rating of 4 stars. Caton Manor: With an overall 1-star rating from Medicare, this Baltimore facility is not much of a competitive threat to anyone. While Westgate Hills is mostly average in its scores, Caton Manor is mostly below (or very below) average. St. Elizabeth Rehabilitation and Nursing Center: Both St. Elizabeth and Westgate Hills got overall average 3-star ratings from Medicare. But while Westgate Hills was above average in one Medicare category, this other Baltimore facility was below average in two, making its overall 3-star rating a bit of a stretch. Frederick Villa Nursing and Rehabilitation Center: Frederick Villa, in Catonsville, got 3-star (average) Medicare ratings right across the board. Westgate Hills got three 3-star ratings and one 4-star score, so it did marginally better. Maryland Baptist Aged Home: Baltimore's Maryland Baptist Aged Home got Medicare's overall rating of 4 stars (to the three stars for Westgate Hills), probably on the strength of its top 5-star rating for quality measures. Summit Park Health and Rehabilitation Center: Westgate Hills did better than this Catonsville facility in three of Medicare's four main rating categories (including the overall Medicare score). Clear advantage: Westgate Hills. In its most recent Medicare health inspection, Westgate Hills got three stars: an average rating. Its total of 10 health-related deficiencies placed it in between the national average (7.1 deficiencies) and the Maryland state average (11.4 deficiencies). Westgate Hills had deficiencies in seven of the eight health inspection categories, including one for mistreatment. It did better on its fire safety inspection, which turned up zero deficiencies (the average in Maryland is four). This facility, which has been in operation since 1996, has had no federal fines or payment denials in the past three years. Westgate Hills also got the 3-star average rating for its staffing (which really means nurse staffing). That was the case although its total nursing time per resident per day was 16 minutes less than the Maryland average, seven minutes less than the U.S. average. Westgate Hills was a shade below average on total daily RN time, and on residents' daily time with LPNs and LVNs (licensed practical nurses, licensed vocational nurses) and certified nursing assistants. It was slightly above average in terms of residents' time per day with physical therapists. By the most recent set of quality measures, Westgate Hills did quite well by its short-stay residents, with above-average scores in five of nine Medicare categories, and about equal scores in two others. Short-stay residents here were significantly ahead of average in terms of improving their functionality. They were only one-third as likely as the state and national averages to have a bedsore and less than a third as likely to need antipsychotic meds. These are both important statistics. The rate of successful discharges here was about on par with the Maryland and U.S. averages, but former short-stay residents from here were a bit less likely than average to need an ER visit later. The notable negative stat here was the percentage of short-stay residents who reported having moderate to severe pain: the percentage at Westgate Hills was 26.3 percent, as opposed to 13.8 percent for Maryland statewide and 16.4 percent nationally. Is this a function of the care or just the patients Westgate has? It is impossible to say. For long-stay residents, this facility's Medicare stats were more positive than negative. Very few long-term residents here had depressive symptoms: a mere 0.6 percent, which was eight to nine times lower than the Maryland and U.S. averages. They were less likely than average to need meds for anxiety, and they were just over one-third as likely as average to be taking antipsychotic meds. Very few of them suffered a fall with injury (a third as many as the national average); fewer than average required ongoing catheterization; and none of them were subjected to physical restraints. On the downside, long-term residents here were a bit more likely than average to have pressure ulcers; slightly more likely to acquire urinary tract infections; and also slightly more apt to experience serious weight loss. The least positive stat here was that 30.1 percent of this facility's long-stay residents came to need help in conducting daily activities - significantly more than the 18.3 percent average for Maryland and the 15.3 percent U.S. average. This facility's last standard Medicare inspection was on June 6, 2016. (That is after the new owner Marquis arrived on the scene.) Medicare officials conducted a concurrent complaint inspection on the same day. This inspection addressed three separate issues. Facility staffers failed to give regularly scheduled pain meds to one resident. Staffers also failed to follow a doctor's orders in checking a resident's blood glucose levels on a regular basis (they missed doing so in 12 of 56 occasions). And the facility was found to have "failed to provide ongoing monitoring of a resident… with a history of sexually inappropriate behavior who was observed touching a cognitively impaired resident… inappropriately." And it is not in the least unusual for a facility to have a complaint inspection. In this respect, Westgate Hills was about - average. That is where Westgate Hills is right now: average. Let's reserve judgment until we see the results of all of these new efforts to make a better facility. Has someone you love suffered needlessly at Westgate Hills Rehabilitation & Healthcare Center or other Baltimore elder care facility? Call our medical negligence attorneys at Miller & Zois today at 800-553-8082. We will help you explore your options. You can also get a FREE no obligation, confidential case review online. We are available to speak with you 24 hours a day. 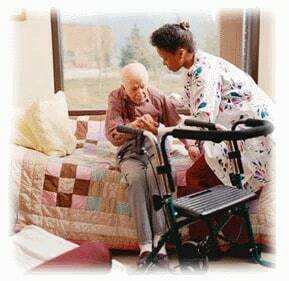 Call our nursing home attorneys todayat 1.800.553.8082 or get a confidential and FREE online case evaluation. Our caring lawyers will help you explore your options and help you chart the best path towards compensation if you have a worthy claim.